Whiteside’s repertoire with Boston Ballet included Principal roles in George Balanchine’s Theme and Variations, Coppélia, Ballo della Regina, Rubies, The Four Temperaments (Sanguinic), Tchaikovsky Pas de Deux, Who Cares?, Serenade, A Midsummer Night’s Dream, Symphony in 3 and La Valse; Maina Gielgud’s Giselle; Mikko Nissinen’s The Nutcracker and Swan Lake; John Cranko’s Taming of the Shrew and Romeo and Juliet; Marius Petipa’s The Sleeping Beauty and Raymonda Act III; Antony Tudor’s Dark Elegies; Jiři Kylián’s Bella Figura, Sarabande, Petite Mort and Sechs Tänze; Twyla Tharp’s In the Upper Room; and Mark Morris’ Drink to Me Only With Thine Eyes. He created roles in Jorma Elo’s Brake the Eyes, Plan to B, Carmen, Slice to Sharper and In On Blue; Helen Pickett’s Eventide and Etesian; and Mark Morris’ Up & Down. Whiteside joined American Ballet Theatre as a Soloist in September 2012 and was named a Principal Dancer in October 2013. His repertoire with the Company includes Solor in La Bayadère, the Prince in Frederick Ashton’s Cinderella, Conrad and Ali, the Slave in Le Corsaire, Daphnis and Bryaxis in Daphnis and Chloe, Basilio and Espada in Don Quixote, Oberon in The Dream, the third sailor in Fancy Free, Colas in La Fille mal gardée, Albrecht in Giselle, Astrologer in The Golden Cockerel, Lescaut in Manon, the Nutcracker Prince in Alexei Ratmansky’s The Nutcracker, Prince Gremin in Onegin, Iago in Othello, Champion Roper in Rodeo, Romeo in Romeo and Juliet, Prince Désiré in The Sleeping Beauty, Prince Siegfried and von Rothbart (Ballroom) in Swan Lake, Orion in Sylvia, Caliban in The Tempest, Tchaikovsky Pas de Deux, Prince Coffee in Whipped Cream and leading roles in Bach Partita, Brahms-Haydn Variations, Duo Concertant, Gong, Chamber Symphony, Drink to Me Only With Thine Eyes, Her Notes, In the Upper Room, Raymonda Divertissements, Sinfonietta, Symphonic Variations, Symphony in C, Theme and Variations and Valse Fantaisie. He created The Man in AfterEffect, Harlequin in Ratmansky’s Harlequinade and leading roles in AFTERITE, Serenade after Plato’s Symposium and With a Chance of Rain. 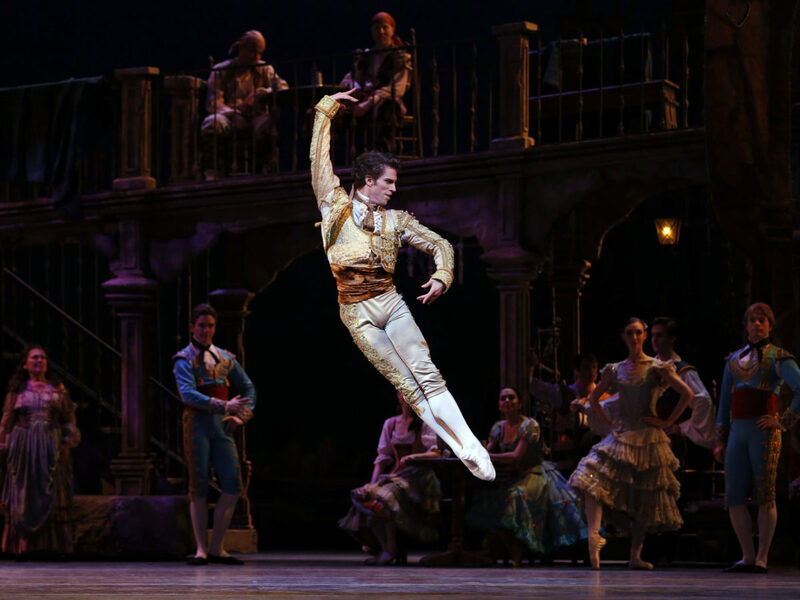 Mr. Whiteside’s performances with American Ballet Theatre are sponsored by Sharon Patrick. James Whiteside in Theme and Variations © The George Balanchine Trust. 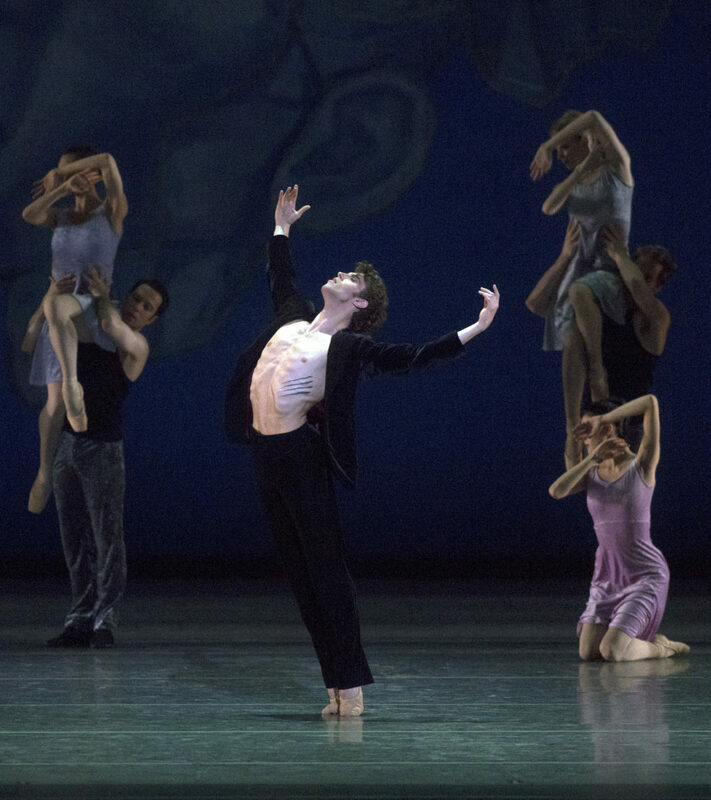 James Whiteside in Symphonic Variations. James Whiteside in Swan Lake. 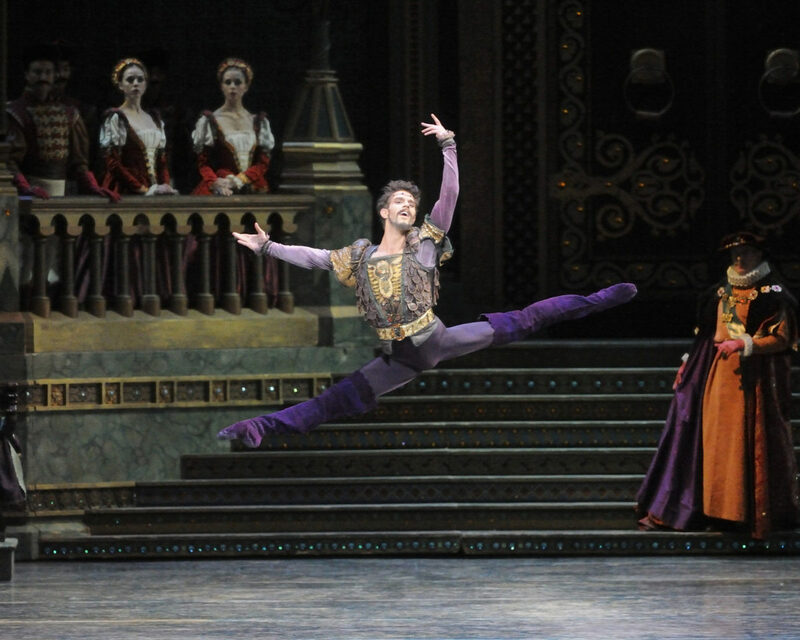 James Whiteside in Don Quixote. James Whiteside in Chamber Symphony. "The company’s outstanding male dancer is James Whiteside." "Let your imaginations run free and leave social norms to the normal." "[James Whiteside] always takes to the stage with energy and purpose." "James Whiteside is powerful and lyrical at once."